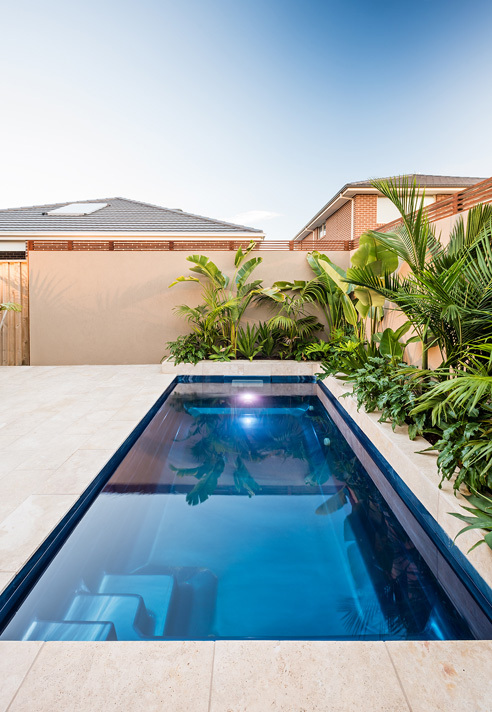 The Sabre Plunge pool has a large open space that can be used for free play. 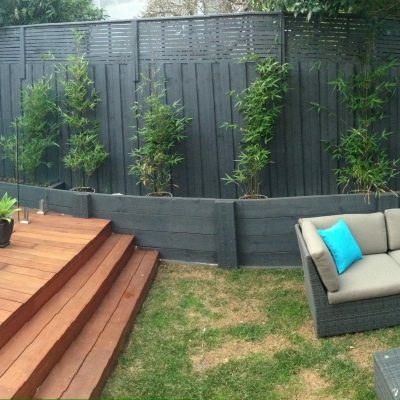 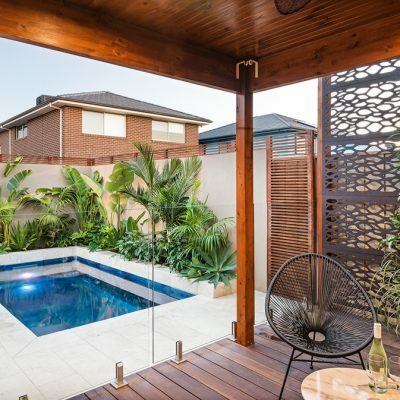 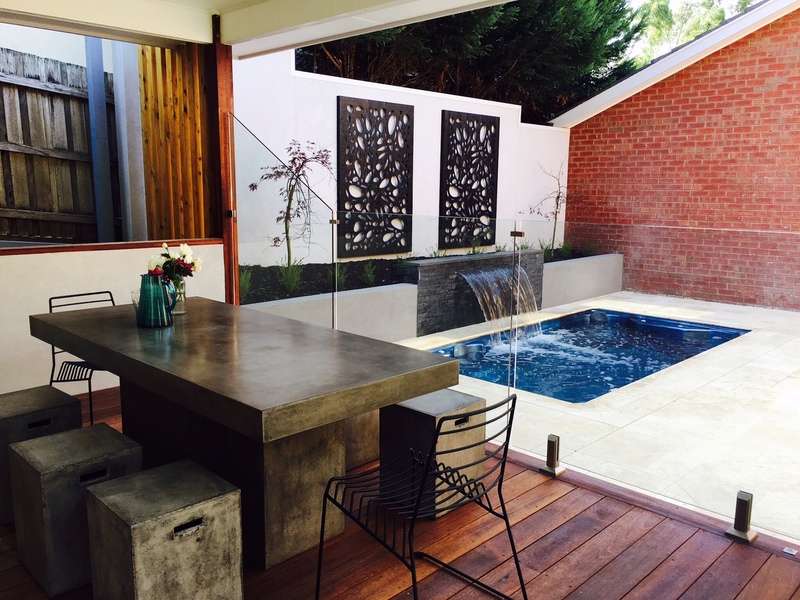 It also features an elevated bench to allow for multiple seating of bathers and children. 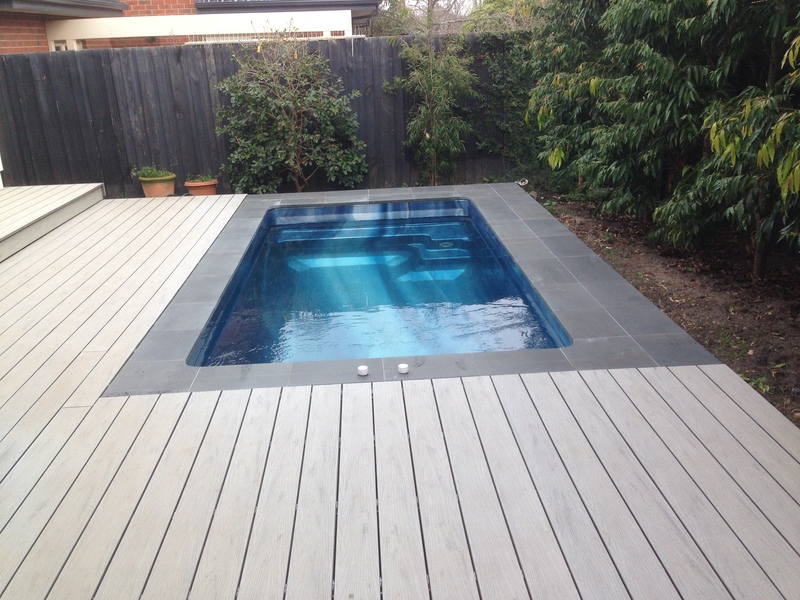 Three side steps have been incorporated for easy entry and exit. 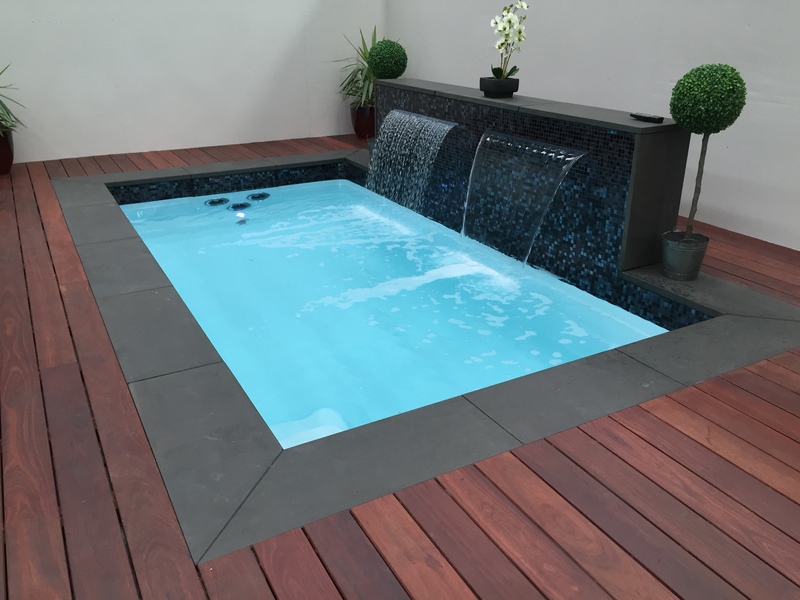 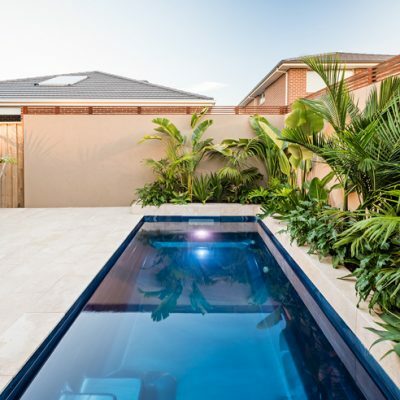 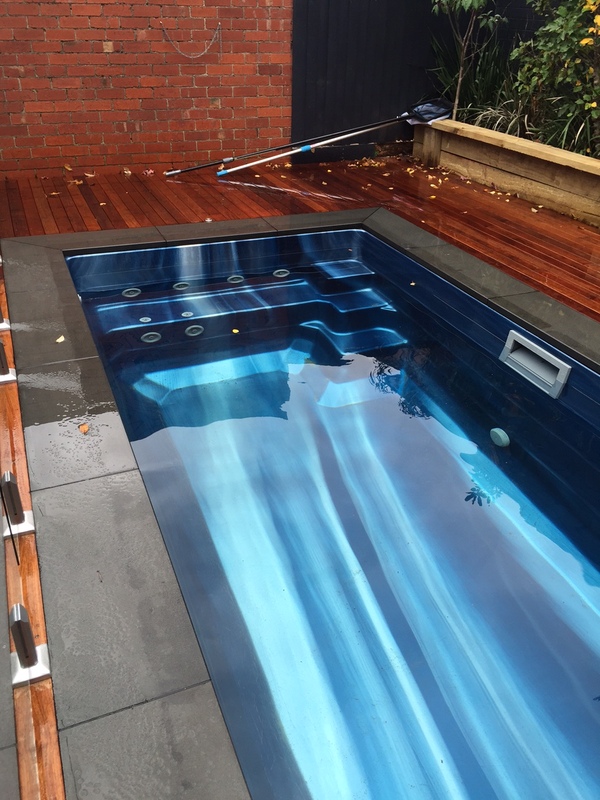 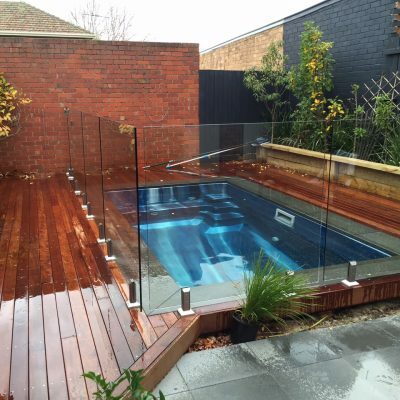 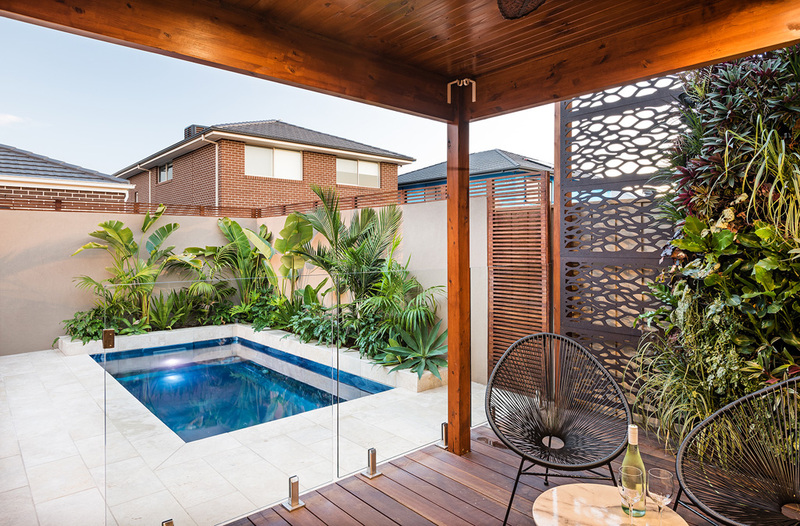 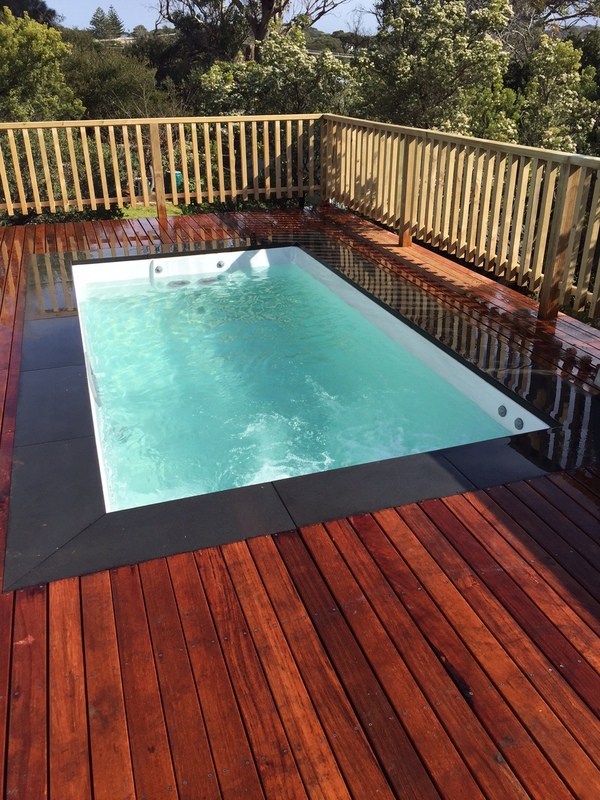 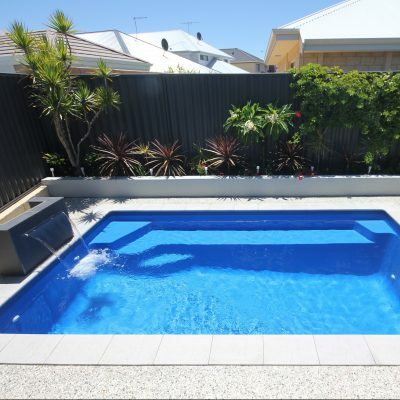 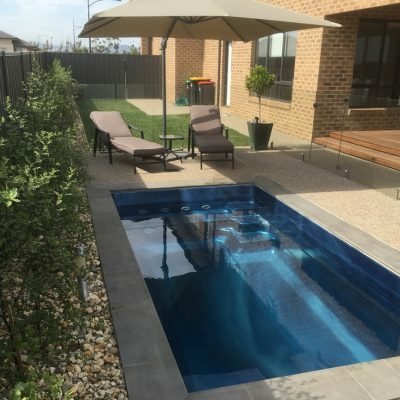 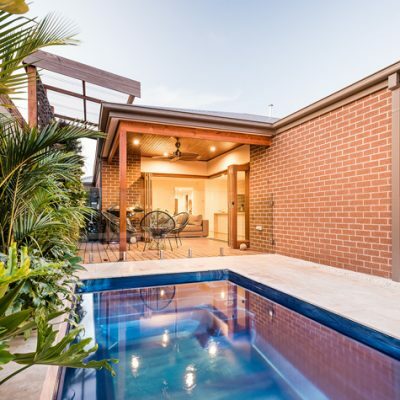 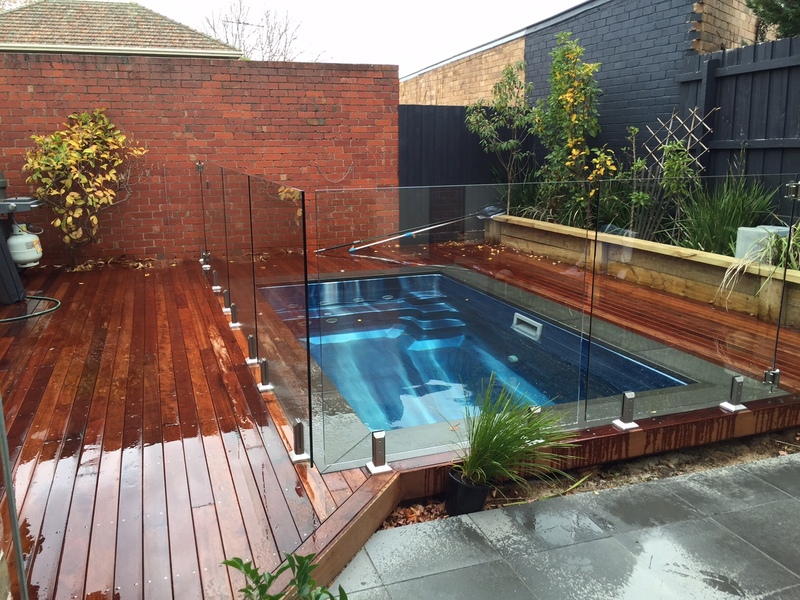 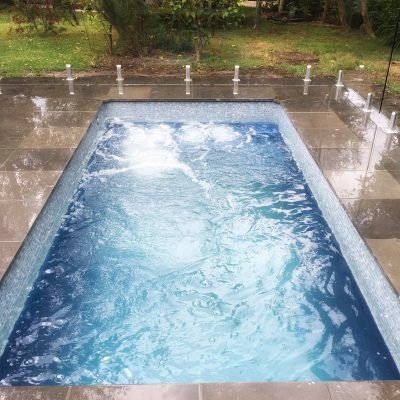 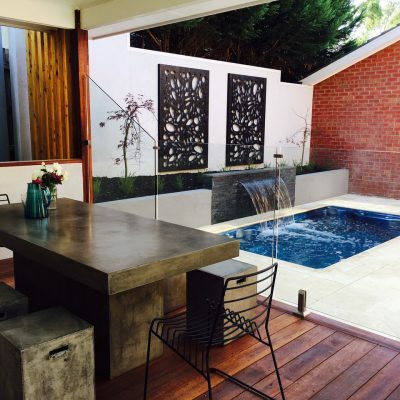 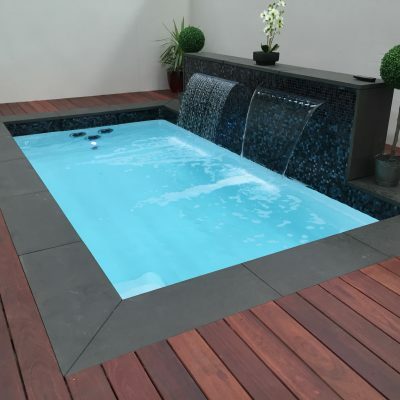 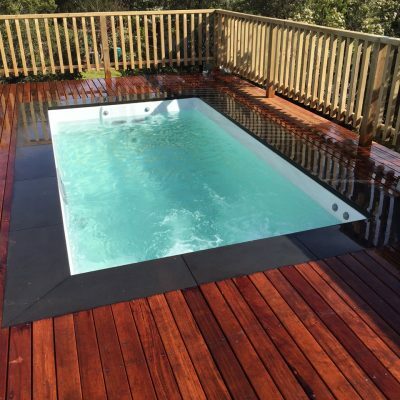 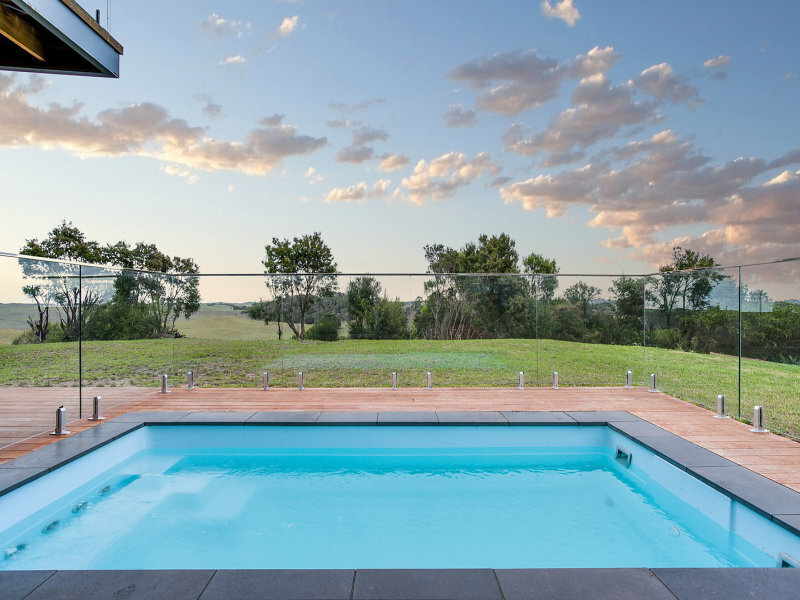 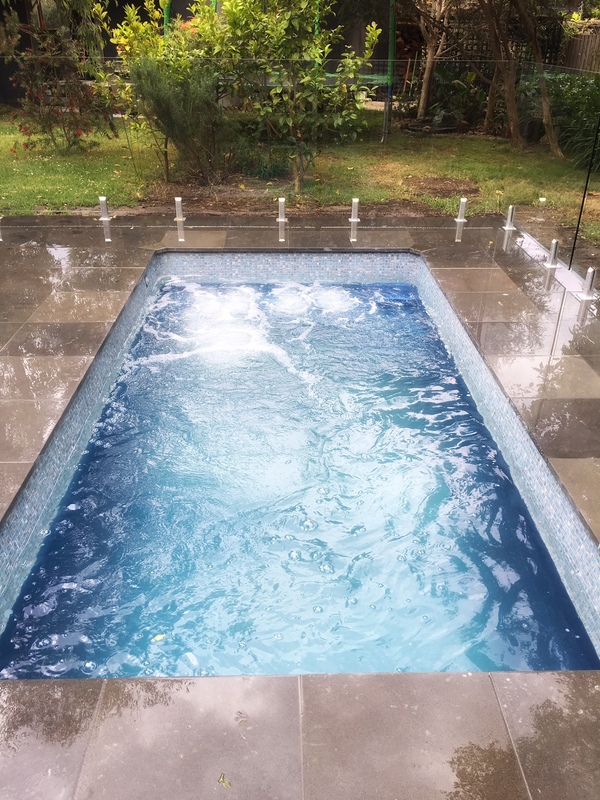 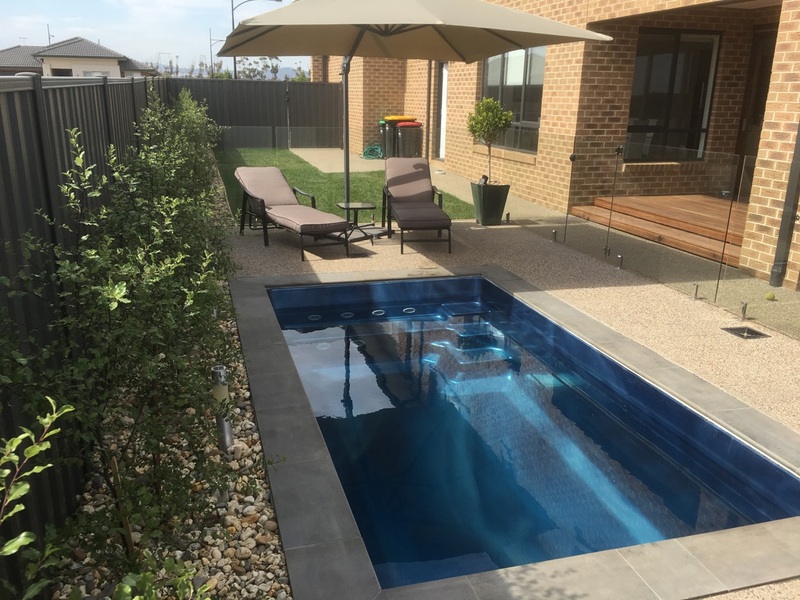 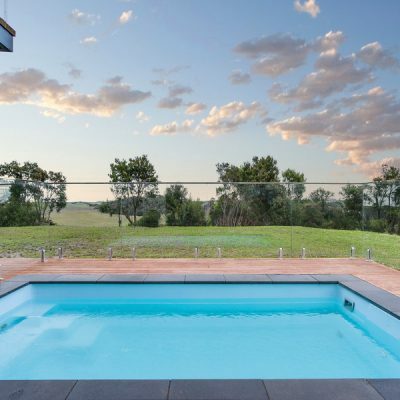 The Sabre pool is available as a Plunge Pool or a Swimming Pool with or without Spa Jets. 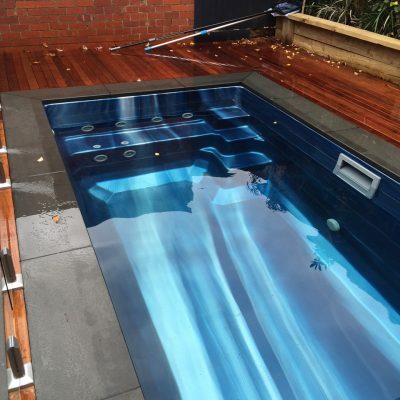 It can be installed fully in-ground (excavation required). 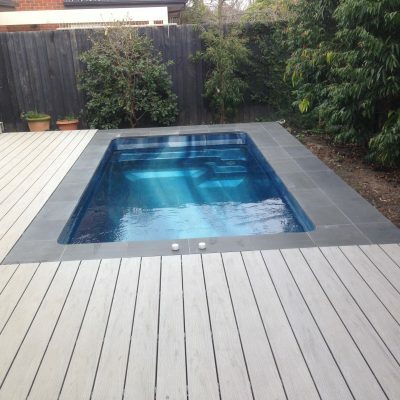 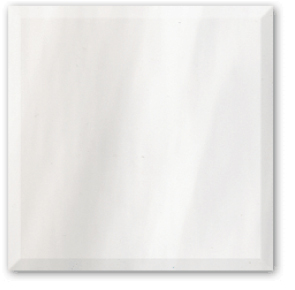 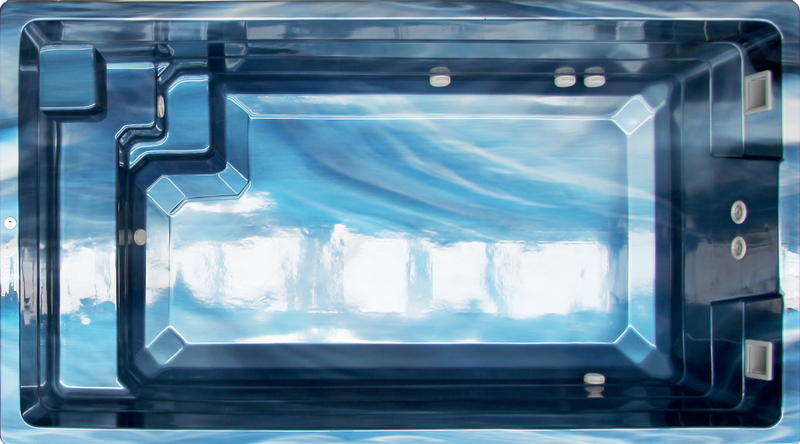 It’s overall finished look can be enhanced by covering the acrylic shell with waterline tiles. 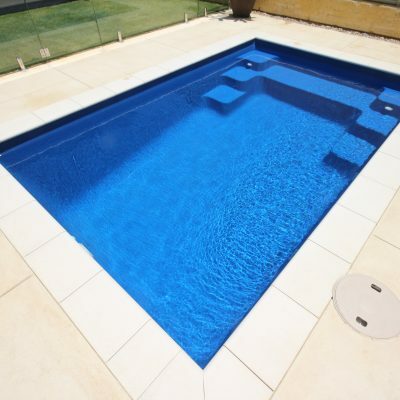 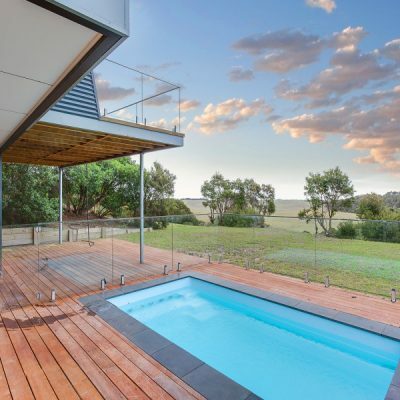 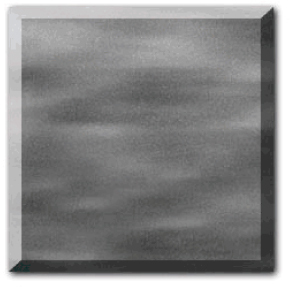 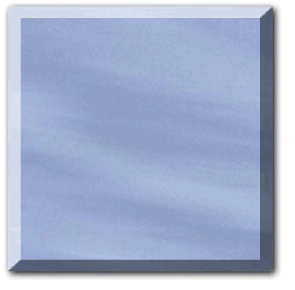 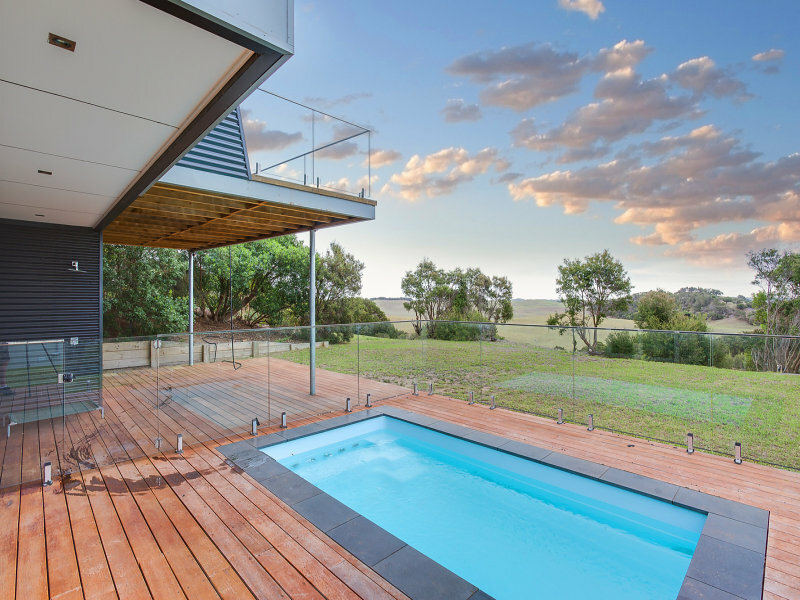 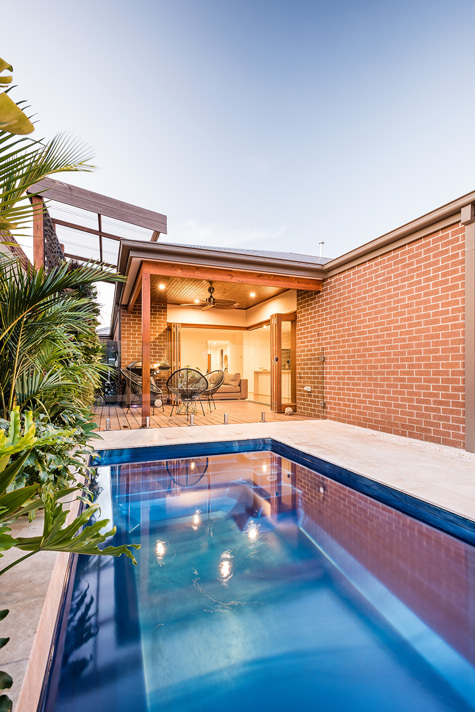 It also offers EdgeCap® Technology – pool coping the completes the look both practically and aesthetically.